In recent years there has been one name in particular that has raised the standard for interior design, Rufus Knight. 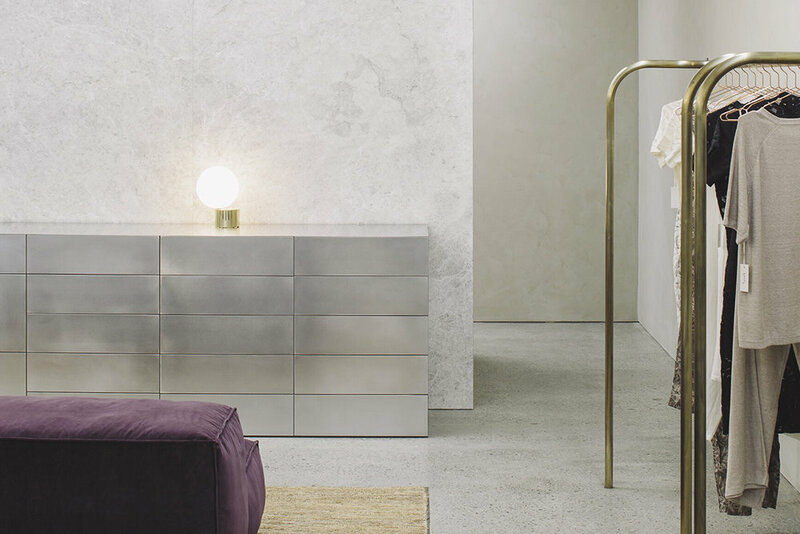 With a fresh minimalistic and refined approach to how space should work and how we interact on a day to day basis, Rufus has redefined interior design for the modern day. 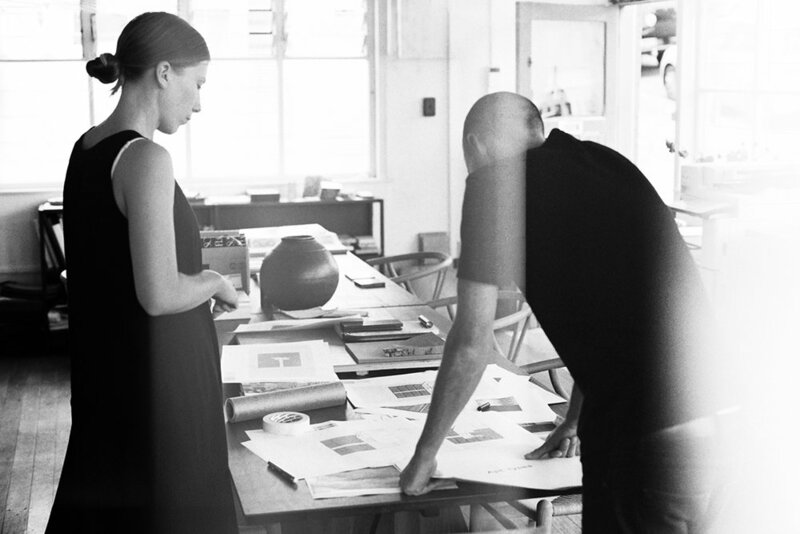 Rufus was born in Opotiki, New Zealand and studied Interior Architecture at Wellington’s Victoria University, post studies Rufus went on to work for the acclaimed architecture firm, Fearon Hay in Auckland. Growing from this Rufus travelled abroad to Antwerp and worked for Vincent Van Duysen Architects, from the knowledge and experience he gained from there his return to New Zealand led to Knight Associates, his own firm concentrating on interior architecture and design in 2016. Since then Rufus has worked on a global scale of projects ranging from residential, commercial and cultural. His clients are internationally recognised such as the womenswear label Lonely, skincare company Aēsop and fitness brand Les Mills. Rufus’ particular work in retail has had a large impact on how New Zealanders shop, working with a variety of upmarket brands Rufus tailors space to create an amazing experience that is purposeful. Recently we interviewed Rufus to talk about the future of retail and the design within it, how he personally approaches projects, what some of his challenges were in starting his own firm and most importantly what advice he’d give for the next generation. Zayyar: A lot of your work revolves around retail and brand, what do you think the future of retail is in terms of design? Rufus: The future of retail, in terms of design, is certainly one that is highly personalised, with more emphasis on evidencing craft and process, and offers greater transparency for consumers. It’s interesting to think about the variety of ways people now shop and where fashion retail, in particular, fits into this equation. We’ve seen labels progress from multi-brand stores to standalone boutique, to flagship, at which point I think there is a kind of event horizon. Consumers are now essentially looking for a plug – a shopping experience or product offering curated specifically for them. What kind of shape this takes as an ‘experience’ will be interesting to participate in. Zayyar: When you approach a retail project how do you weigh the store design with the shopping experience? Both have to live harmoniously together but I imagine can be a tough task - what are some of the fundamentals you try to bring? Rufus: The aim for our retail work is always to make the store design and functionality of the space singular; framing customer experience, consultation, demonstration, product showcase, point of sale – these touchpoints should all feel holistic. As brands now divide their attention between e-commerce and brick and mortar, the focus has been more on flagship spaces that communicate brand essence and principles; acting more like a gallery (or edifices) for the product, offering experiences, and insights into brand authenticity. The fundamentals of the retail experience and customer service remain essentially the same but a key addition to this in the last decade has been many retailers incorporating a strong hospitality focus within their offering. Zayyar: Do you think the space of e-commerce will ever make brick and mortar redundant? Rufus: E-commerce is now a large part of many, or most, retail models but I think the expectation that a product is showcased, experienced, or demonstrated in some physical sense is still a basic psychological impulse. They’re the same impulses that hold you back from purchasing online without trying on a garment, understanding the texture, scale, or scent of an object, getting hands-on with a piece a tech. Interesting though that reviews, ‘unboxings’, even fit-pics begin to erode that lack of confidence in buying online – again, it goes back to a desire for some sense of physicality within the purchase process. Zayyar: What are some store interiors/brands that really speak to your personal taste? Rufus: I have great admiration for where Jonathan Anderson has taken Loewe with his focus on craft and object-making and their retail environments are becoming incredibly beautiful – almost museum-like. 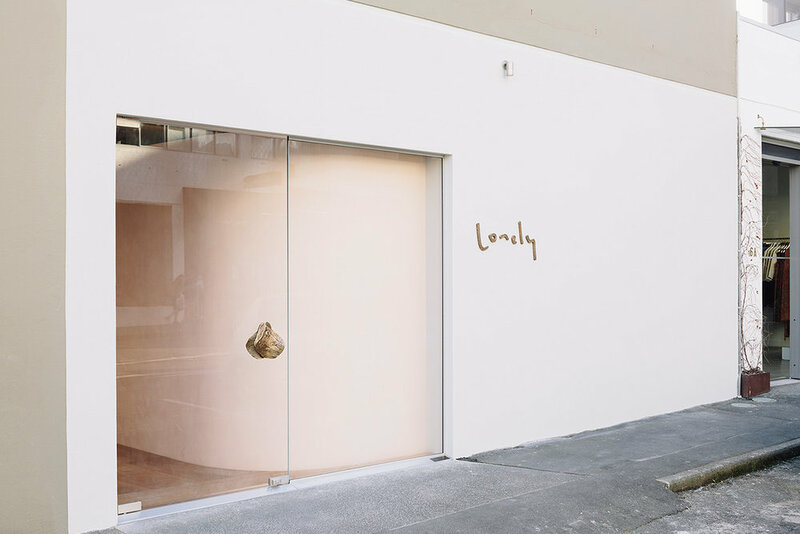 Phoebe Philo’s work with Casper Mueller Kneer on Céline runway and retail stores worldwide established a ‘Lynchian’ vernacular as far back as 2014 and remains a global benchmark. 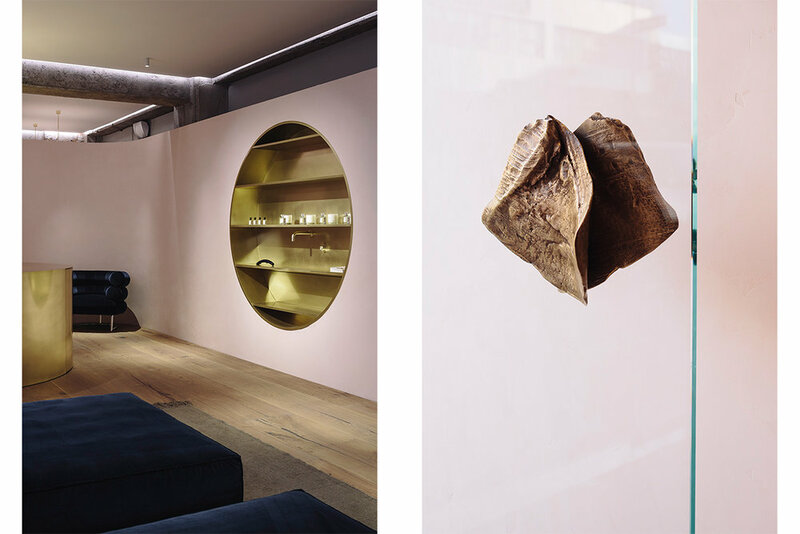 I think Carlo Brandelli’s vision at Kilgour has always been highly original and their Saville Row flagship is distinct and incredibly sculptural. Virgil’s work at Vuitton is breaking new ground and it will be interesting to see how he influences their retail experience. Personally, however, The Row remains the pinnacle of contemporary retail interiors. Zayyar: In terms of starting your own firm what were some of the challenges and obstacles you faced? Being young as well did that have any impact? Rufus: Aside from the fact that there was no financial safety net, I don’t think the challenges or obstacles were that evident when I started the business and, to be honest, I didn’t really have the vocabulary to really understand the risk, so, I’m glad I didn’t project too much or too far ahead. The studio is only three years old but looking back it was quite liberating flying below the radar and just being heads-down doing the work – I’ve tried to retain that ethos as much as possible as the studio has grown. The complexity comes once there is some dimensionality to the business; once you’ve taken your product to market, begun to establish a perception or identity for your work, or you’ve started to build a team around you. I think what surprised me most was the amount of creativity you need to run a business – having had no previous business experience I always thought the two were mutually exclusive. I don’t think being a young office hasn't held us back at all, on the contrary, especially when you consider the landscape of our industry. Also, it’s better to make mistakes and grow from them as soon as possible – fail fast. Zayyar: For our younger readers here, what advice would you give to them to starting their own business or as they begin their design careers? Do you think traditional education such as university is required nowadays? Rufus: I think education and experience can’t be substituted but, in saying that, it’s all relative given the breadth of ‘design’ within popular culture – teaching and inspiration can come from anywhere but it’s the application that will get you started. My studies at Victoria University were incredibly grounding – I put a lot of time and energy into the Interior Design programme and benefited greatly from that commitment; both during and after my studies. Academic environments create a unique opportunity for you to deepen your understanding of whatever you chose to study and learning opportunities like that come around very rarely. My decision to study interiors was intuitive but, at the time, I saw it as a vehicle to explore the medium of design in the broadest sense that incorporating fine art, fashion, graphics, film, theatre – really, I could have chosen any discipline as the world was becoming progressively design-literate but worth noting that design was not as embedded in popular culture as it is now and ‘interdisciplinary’ was really just a concept a decade ago. We have Kanye to thank for changing that. Zayyar: Finally, what do you think are important fundamentals to success as a person in the design industry running their own firm? Rufus: I think confidence, authenticity, and patience are the most important traits to have in the design industry – you have to find your voice which can take a long time, you have to own your mistakes, and you have to learn to invest in relationships. Design businesses, in particular, require a fine balance between humility and obstinacy so you need (at least some) dimension to your personality. Helps to have the sauce, too. Zayyar: Thanks for your time Rufus.